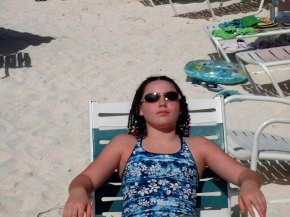 Marissa Rose — Chillin' as "Bahama Momma" on the beach at Disney's Castaway Cay, January of 2002. Hi. I'm Marissa Rose. My dad set these pages up for me (and one for my brother Colin). 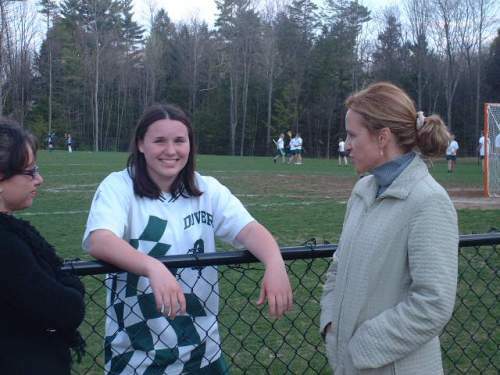 I graduated from Dover High School and have been on the Women's Varsity Lacrosse team since I was a Freshman. 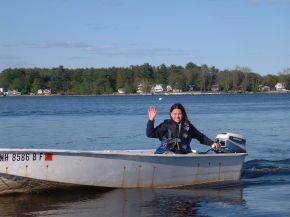 I have a 16' Carolina Skiff Rascal with a 25 hp Evinrude that I travel up and down the Piscataqua River on though most of my time these days is studying at New England College. 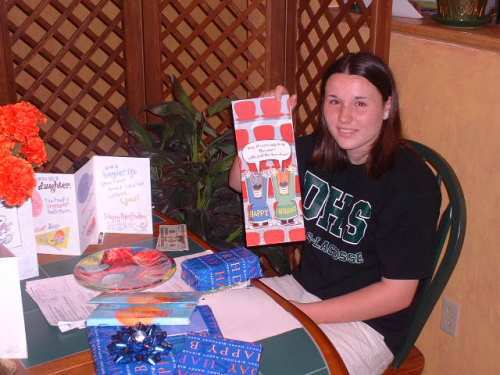 Early Pictures — Some of my favorite pictures through 2002. 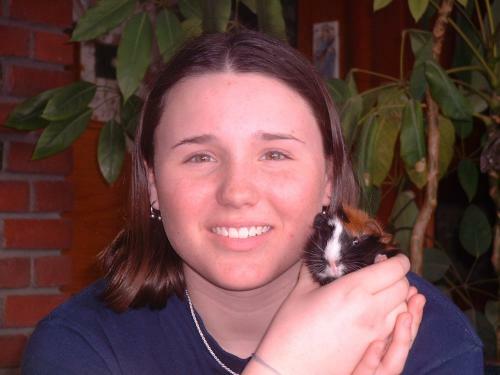 2003 — Pictures from 2003. 2004 — Pictures from 2004. 2005 — Pictures from 2005. Colin and me at the Maine Conservation Camp in Bryant Pond, Maine 1999. 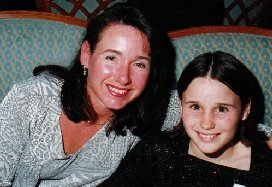 Mom and me on the Disney Magic 2000. 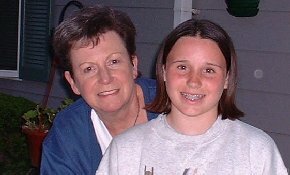 Nana and me on her deck in York, ME 2001. January 2002 Disney trip. 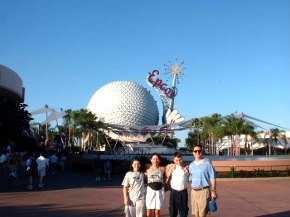 Epcot Spaceship Earth. January 2002 Disney trip. 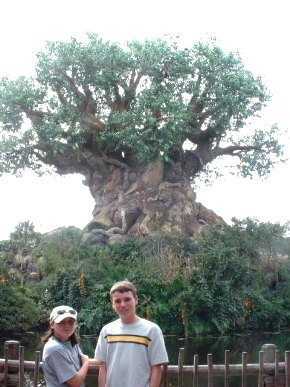 Animal Kingdom at the Tree Of Life. January 2002 Disney trip. And how did you say you spent your winter vacation? Here's The Ris as "Bahama Momma" on the beach at Disney's Castaway Cay. January 2002 Disney trip. 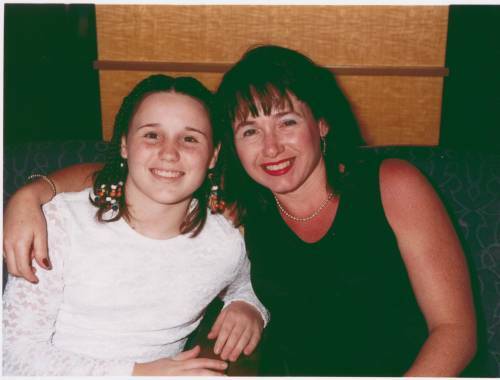 Mom and me before dinner on the Disney Wonder. Here I am Sunday May 19th with my The Wet One finally launched. I have my dad's old 6.6hp engine from Linnet's Wings— he bought a new 15hp. Summer has finally arrived. 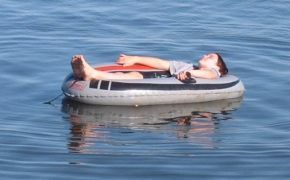 Here I am relaxing in my "office" 06/04/02. 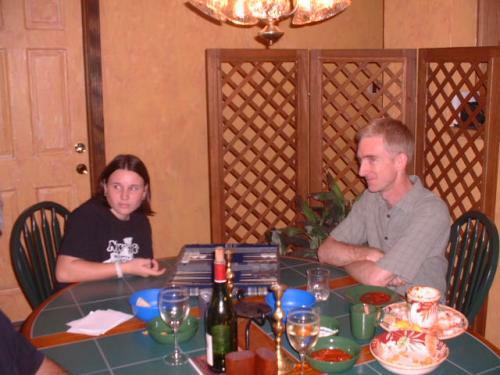 Colin giving me a hug on my 13th birthday. 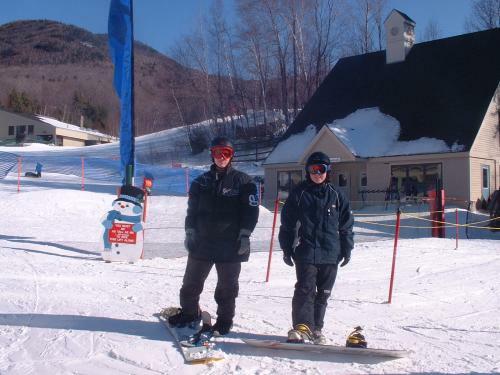 We all headed up on Saturday 11/23/02 to Smugglers Notch, VT over Thanksgiving Week. 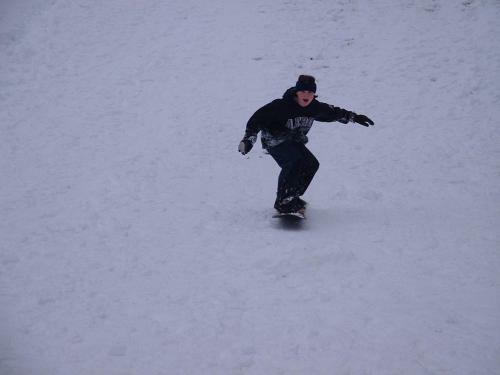 This was my first snowboarding experience on a "real" mountain. I had a ball, and I didn't face plant too many times! 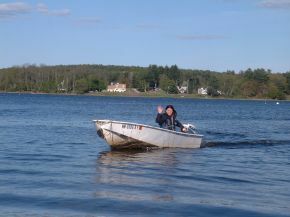 I got the surprise of my life when Colin and Dad drove up in Colin's new truck 05/10/03 towing this new boat for me! 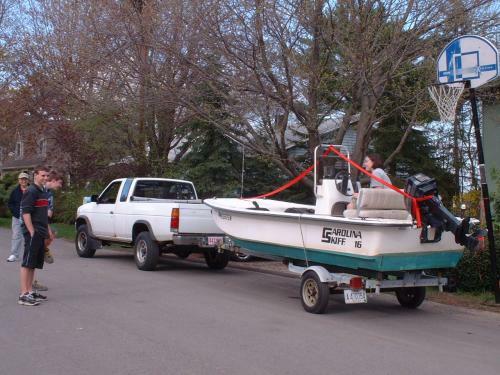 It is exactly what I wanted: Center console, 14' to 16' Carolina Skiff. I named it Rascal. 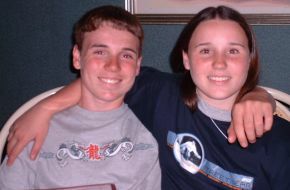 Here's a shot of Colin and Marissa on Monday the 23rd of Feb. 2004 after taking the first couple of days of vacation at Loon Mountain, Lincoln, NH to just hang by the pool and "chill". Marissa's Lacrosse team won 9 to 6 on 05/03/05 with Marissa scorring 3 goals! It was a really exciting game. Both teams were really pushing it because with just 12 minutes to play the head Ref stopped the game and told everyone to lay the sticks down on the ground and take 5 to cool off. Here are some pictures from that game.